Knows that loss can lead to gain. You hear it when he sings. Rich Hennessy’s voice is smooth. Like a fine cognac. Over the course of Megastar’s December Spotlight Competition, the singer/songwriter made his performance of “Tidal Wave,” a Rich Hennessy original, look easy with his distinct vocal quality. Rich may seem to have it all, but he once lost everything when his childhood home in New Jersey went up in flames. That tragedy reframed what was important to him. Since then, he’s dedicated himself completely to music. And it shows. In fact, he came in second in the very first Megastar competition one year ago. This dude has staying power. See Rich perform his original song on the Megastar app. A Megastar you’ll want to listen on loop. Despite posting her first video on Youtube in 2007 as an inside joke, Olivia Thai has amassed over 21 million views. Olivia hasn’t always known she would make it this far. She’s faced her fair share of challenges; she emancipated herself from her parents at the age of 16, and struggled with almost debilitating self-doubt. It was only when Olivia challenged herself to try something she never thought she could do – songwriting – that things really turned around. Songwriting completely changed her life, and in over a little more than two months in late 2014, she had written over 100 original songs. Her talent is undeniable; with just a loop pedal, and her ability to sing and play guitar, piano, and violin, Olivia is a able to create sweeping pop epics all on her own. The combination of her unique persona and thought-provoking original music has gained worldwide media coverage, from winning Taiwan Idol, starring on American Idol XV, countless radio appearances, and numerous endorsements. Win up to $25,000 in the Megastar December Spotlight. 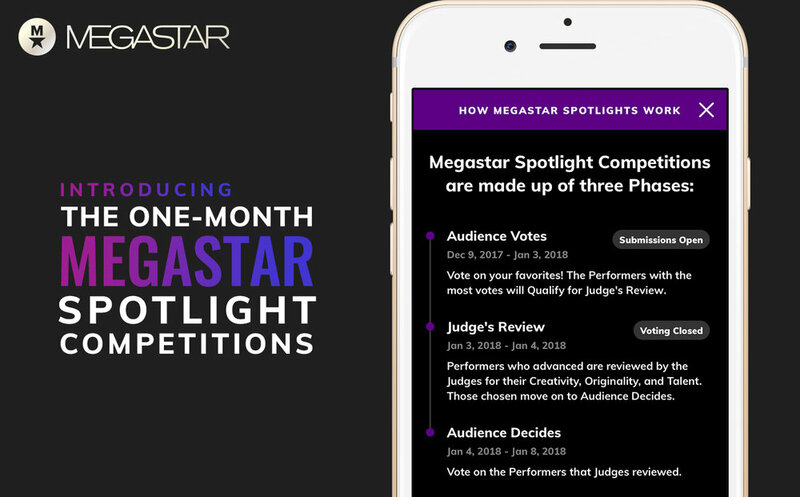 Megastar is launching a one-month global competition — The Megastar December Spotlight: 2017, to close out the year with a bang, and launch some new winner with a $25,000 top prize in early January. Here’s how it works. PRIZES. FIRST PRIZE: $25,000 USD. SECOND PRIZE: $5,000 USD. THIRD PRIZE: $2,500 USD. PERFORM LIVE. 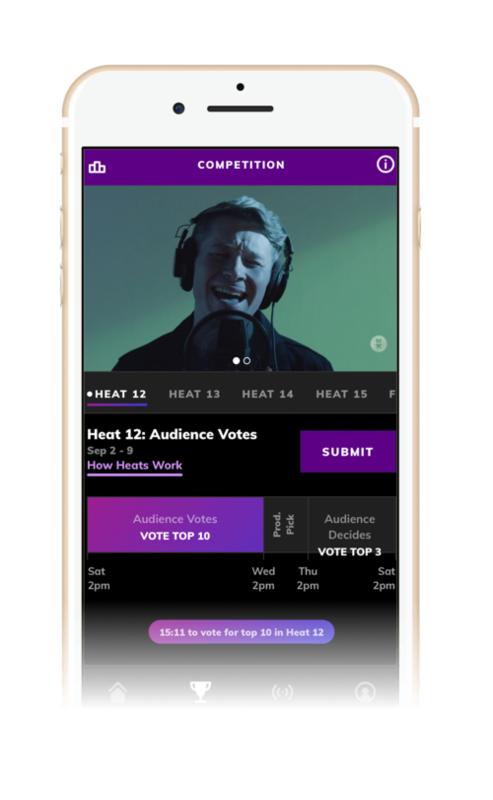 You can livestream throughout the competition, making your personality personally felt, your brand known, your talent experienced first-hand by lots of people 👩‍🎤 — fans you can talk to while you’re livestreaming! HINT: In the first Worldwide Tournament, performers who livestreamed did on average four times better than performers who didn’t. GET CROWDFUNDING. Fans can send you gifts 🎁 — that’s right, real moolah you can use to fund your efforts. And you can give gifts back. Come on now, be generous! BUILD YOUR FANBASE. Fans who like what you’re doing will follow you. Fellow performers can support and collaborate with each other. Followers are notified when you’re livestreaming. You can communicate with them directly. 📝 You could be adding 350,000 more fans to your base! 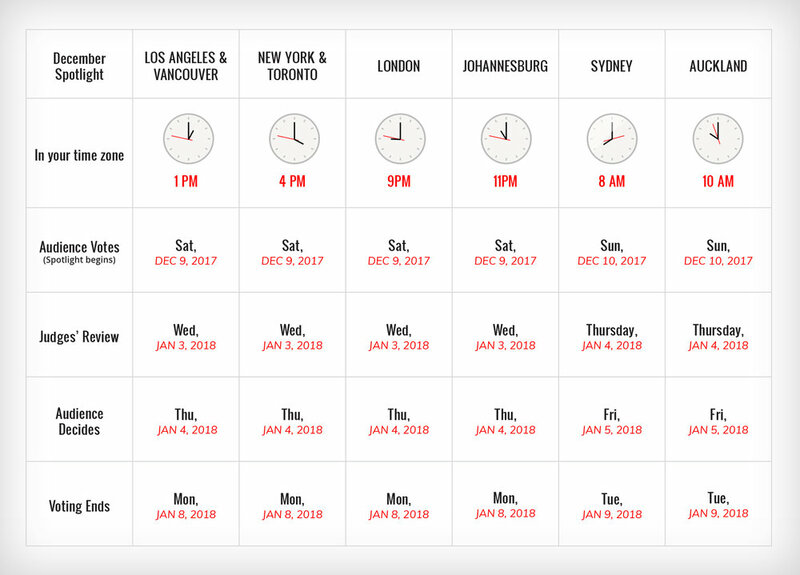 THE TIMING IS NOW: ⏰ The Megastar December Spotlight kicks off this weekend! FANS DECIDE THE WINNERS. In the last five days, fans will decide who in the top 10 go home with the big prizes. But in a sense, everyone’s a winner. You get seen. You get heard. You grow your base. You hone your craft. You hone your video product. This is important stuff. This is your opportunity. MEGASTAR is the world’s first mobile talent competition app, where contestants from around the world in multiple categories (Music, Dance, Sports, Extreme, Comedy, Magic, & Variety) compete with videos and live streaming for big prizes, fame and opportunity.